Brief description: We are brand new 24/7 Faction PvP server with no whitelist so please come check us out! We've put a lot of effort on this server, focusing on protection, balance, interesting content and respect. The server is Survival/PvP, but we also added an Adventure touch to the mix so there are many interesting places to visit, including "jump and run" and puzzle levels of varying difficulty. New places to visit and explore are regularly added. We are a survival server. .We strive hard to give you the best playing experience and fairness from server owners. PVE world: The main world, which has PVP off, but still, has all the fight and power of a survival server. We run lots Plugins, all of which enhance the fun of the game, but permissions limit several of them, to still have the survival theme. If you want to do more things you can donate and get a cool package. Do /warp donate or /buy to see what the benefits of donating are. We strive to be as fair as possible, and only ban when required, not just because we can’t win an argument. (No insults though!) We ban for griefing, advertising other servers, spamming and racism. There are a few rules posted on the server but basically if you follow the above rules you will be good. CDS Minecraft is owned by adults and all staff are 16+. We strive for a safe, inviting environment where everyone can enjoy themselves. If you are not convinced yet here are our important links. CDS minecrafts Facebook, Please like us for server and info updates! Last edited by popoloco; 03-05-13 at 03:39 AM. Server owned by danielmango. 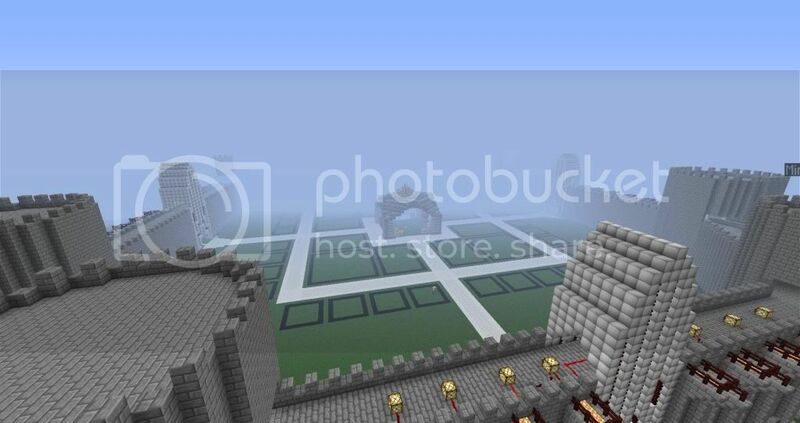 We are running on Bukkit with plugins like buycraft, essentials, lockette and more! Do not ask for op or you will be kicked with a warning. This server is Faction PvP. If you are killed do not complain because it's fair. EndoraCraft has some of the best plugins out there, With a great economy and rpg set-up whats not to like. We have several benefits that you can obtain and have a blast with your friends. Join us in the server and our teamspeak! Main Plugins: UltimateArena, HealthBar, LWC, CraftBook, mcMMO, Multiverse, ChestShop, BOSEconomy and many more! We are a server that started about a week ago. We have shops, towns, cities and more. At times we currently hi our cap so we are working on upgrading out host. We are also running 24/7 thanks to our dedicated host! We are open to any suggestions that members throw at us! Brief description: MacMinecraft is a strong growing community of players who were tired of other servers where the owners didn't care, the staff were irresponsible and the donors became gods, so we set out to make a server like no other where our main focus is on quality over quantity in all aspects of the game. Here you will find not only a dedicated team of staff who are here to help the player base and expand the server together but also a community of players that are the friendliest I have ever met. Inside you will not only find a unique and challenging game, but also some friends and a place you can call home. - Rewards for all players! Brief description: NightGaming is a professional hosted Town and MMO-Dungeon server! We have Towny setup just for you to go into the wild and create an amazing town! Once you create your town you will be able to manage and sell plots to other players! We have custom dungeons made for you to explore and conquer. We also have our own special loot that drops from bosses inside the dungeons. With claims so you can claim your ground so nobody can grief it. Currently no banned items, but some will be added when abuse has been found. We got some plugins to make the gameplay a bit more fun. so join and have fun.